In our efforts to improve club facilities both on and off the field, Bolton RUFC have recently completed some major developments at the club. Included in these developments has been a large extension to the existing building, and an upgrade of the boiler and heating system. I am sure you're aware, the clubs targets are as ever matched with spiralling costs. The following 3 sponsorship packages have been designed to ensure that you and your guests will enjoy the total rugby experience here at Bolton. Please select the package and fixture of your choice. * 'Magic Mug' presented after the game - the never empty beer glass! The above packages can be altered to suit. Please ring to discuss. *Press coverage subject to Bolton News approval. 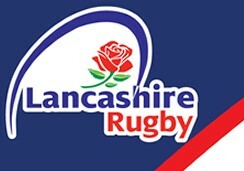 Sponsor - KIT  *** SPONSORSHIP - TEAM KIT *** First Team Squad Equipment available for sponsorship at Bolton RUFC.